Olbrich Botanical Gardens is always holding exciting events for the public. 2015 was their first year for GLEAM, a night event featuring art that is illuminated. Here is our visit from last year. We didn’t think they could top that exciting first year, but it seems they did. Monopods are permitted for a steadier shot and also to not get in the way of the other guests. 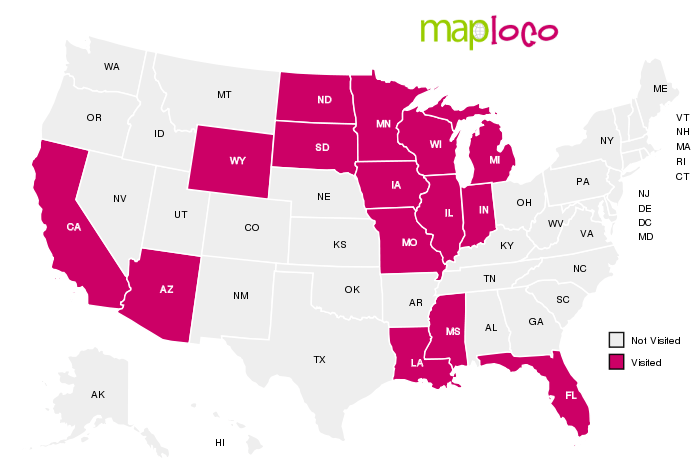 The route is different than last year, this is the map. This year they added a cash bar to enhance your stroll through the garden. We were just amazed by the workmanship and talent of the artists participating this year. You can vote for your favorite after your visit. We walked through in the daytime also to see what they looked like then. Enjoy the video I made of our visits. The Fire Monkeys were especially good. Three were in a tree, one was on the edge of a small pond. In the video, you will also hear the jungle sounds that are piped in on a nearby speaker. Another favorite was “The Soul’s Song” by the family of artist Ted Brusubardis. This is a song of Latvia, a small excerpt is in the video. The name in Latvian is Dvēseles Dziesma. Below is the song in it’s entirety. The images of the performance is projected onto the back of the waterfall behind the Rose Tower. The Rose Tower is a beautiful setting for both of the Soul’s Song and Yahara Cloud’s pieces. Inside the tower had a purple light projector. The view from the tower, breathtaking on this starry night. The streak is an airplane. See website for more information about this and other events. Be sure to stop by soon for this wonderful exhibit and bring your friends and family (and your camera)! Wollersheim Winery in Prairie du Sac is our favorite winery. Our last visit was in June 2013 so it was time go back to see the latest developments. The open house is only once a year, and you get to take a self-guided tour, going into areas that you normally wouldn’t see. The biggest development since our last visit, the new Distillery building. It was built in 2015. 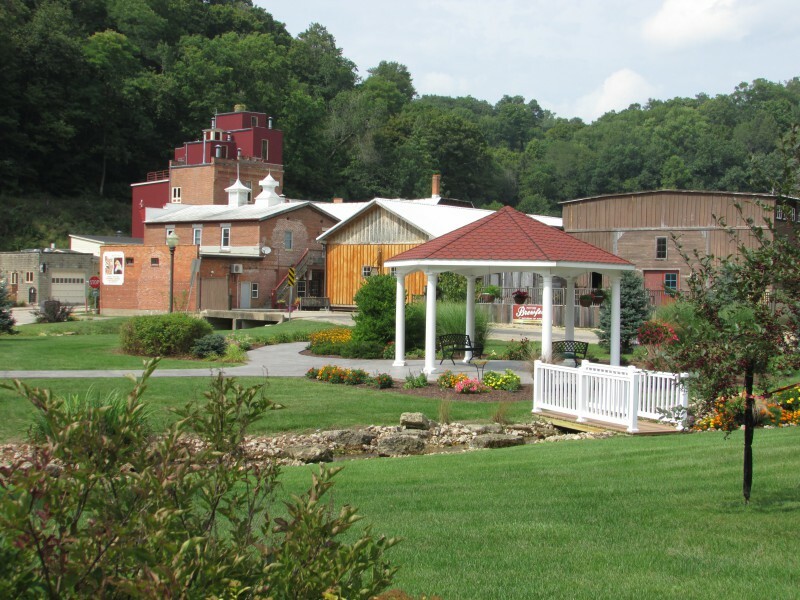 The winery has now expanded to include brandy in its offerings and the new building makes this possible. This building was part of our tour too. Our tour began in the main building, we arrived just before they opened so we joined the first group. We were never here in the winter before and it looked quite pretty. We began our tour upstairs, at stop #1 you could try a sample of one of their most popular wines, Prairie Fumé. There is also a cow painted with winery scenes, cute! 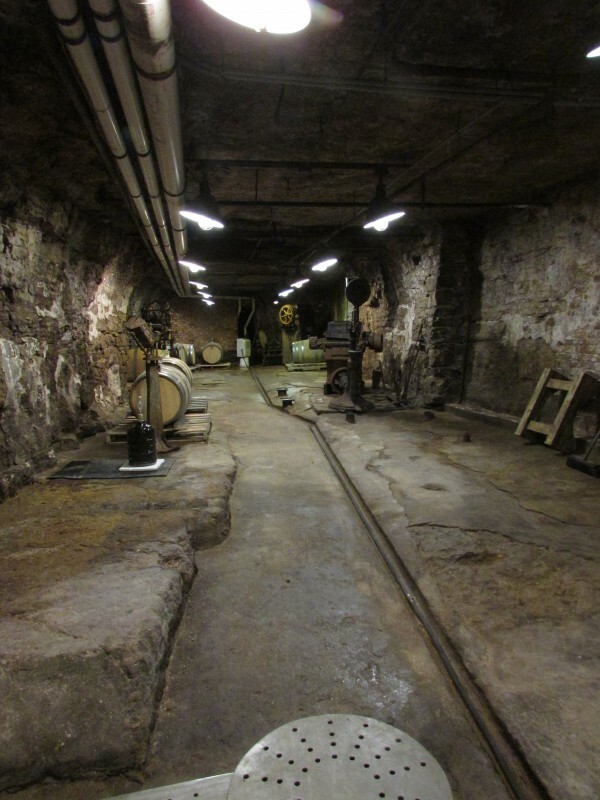 We then walked outside and around to the back of the main building where Station #4 was located, the Fermentation Room. Another wine sampling station is located here. Our first time inside this room, the size of the tanks were amazing! The Big Room (#6) is accessed through a door on the left. And it is big, we felt small as mice next to these fermenting tanks. We also got a look at the Still House where they make their fine brandies. Such beautiful copper. This is a Vendome Still, made in Kentucky. They can also make Gin with these stills. A photo-op with this still was a must! The Bottling Room was mesmerising, very interesting to see how the bottles are filled. The Grainery and Mill Room, where the unprocessed grains are stored. We finished our tour in the upper floor of the Distillery building, the windows offer a panoramic view of the whole winery, including a patio to enjoy in the summer. 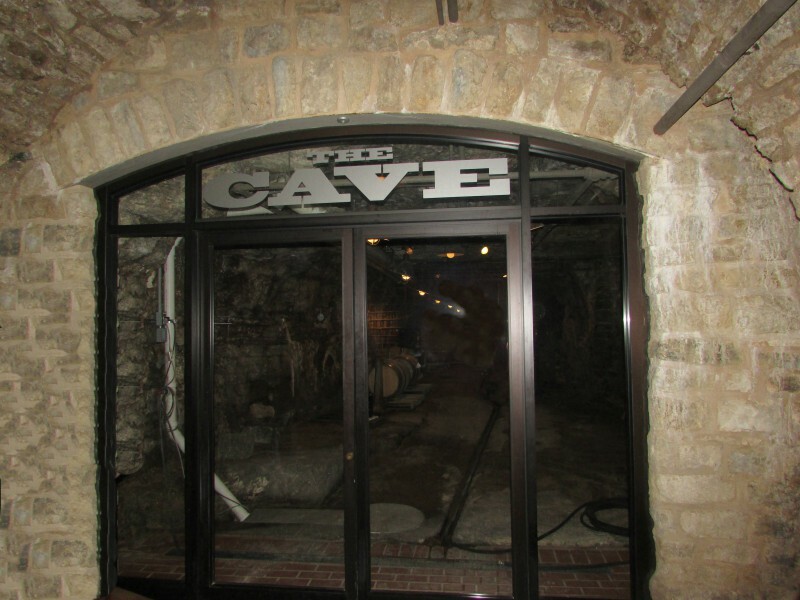 Be sure to go to the wine cave. Information boards show the history of the winery going all the way back to the 1800’s. There are also some early artifacts in the back of the cave. A great tour was had by all, we toast you to an exciting future! This was the first time Al and I went to the Knickerbocker Ice Festival in Lake Mills. We started the fun at Rock Lake by taking a look at Icehenge, a take-off of Stonehenge. We made the mistake of not stopping by right after they finished it in late January, the warm weather over the last 5 days took its toll. Read more about it here. The Fisheree was going on too, somebody was drilling a hole in the ice nearby to fish in. We found a cute fishing shack downtown promoting the Fisheree. After visiting Icehenge we went downtown to the square (actually a triangle) to see all the activity going on there. We could hear the sound of multiple chainsaws as the ice sculptors were making their creations. Lets watch them! 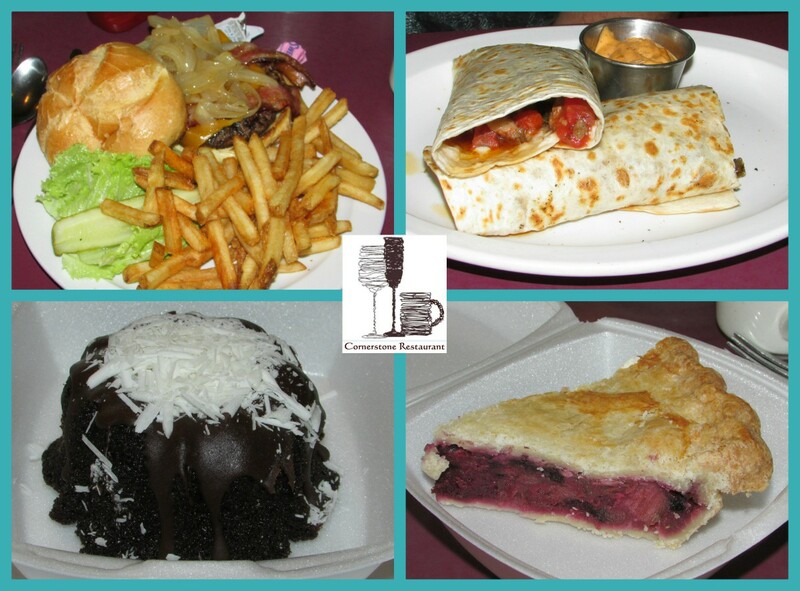 We enjoyed a great lunch at Cafe On the Park, under new ownership as of 2015. They are open 6-2 daily. Al had a prime rib sandwich and I had a breaded chicken sandwich. Delicious! The park sure was busy by 12:30! There was a big ice skating party going on in the park, small children were being pushed in chairs. Some other kids were building a wood castle, complete with flags. It was now 1:00, and it looks like most of the ice sculptures were getting finished. My personal favorite 3 carvings. The Lewis carving even had little wine bottles, cute! The Eskimo was especially fun, since this one was interactive and we could take a fun selfie with it. Other ice sculptures of note. 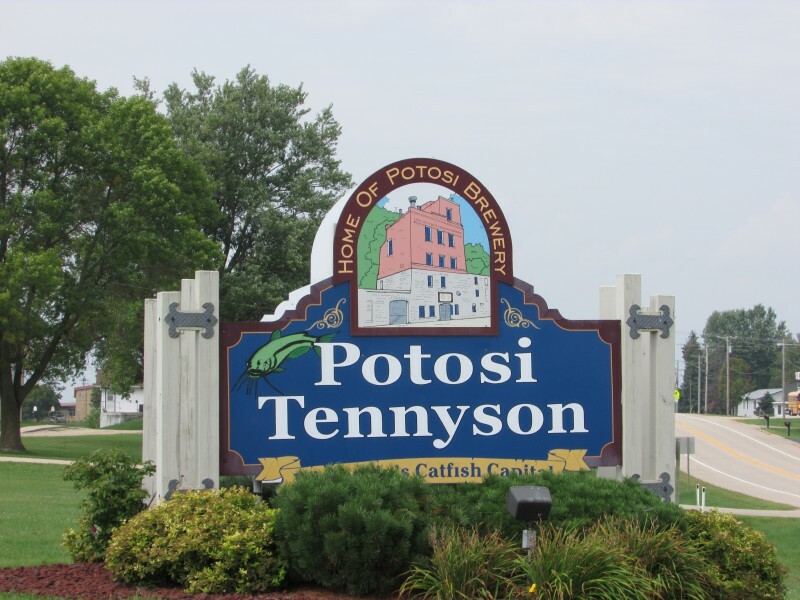 We had a wonderful time at this festival and got further reinforcement that Wisconsinites love festivals in any setting the whole year around. 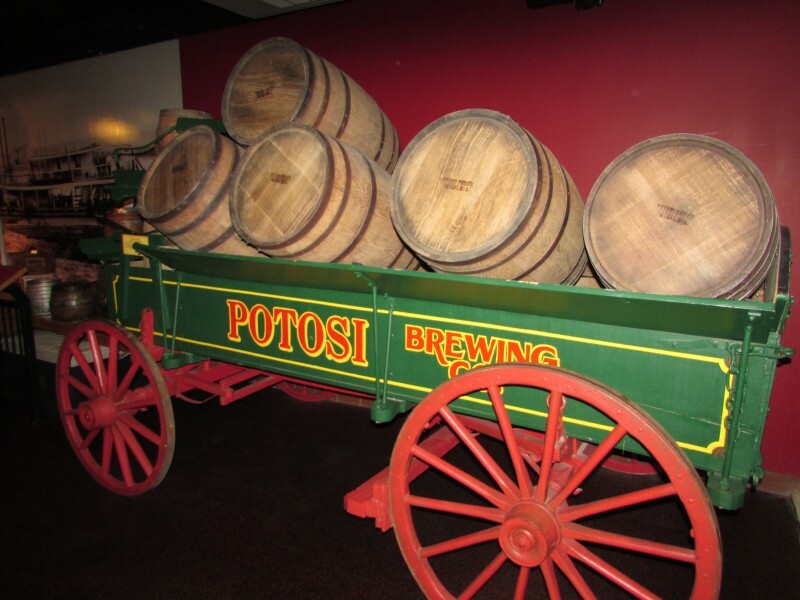 After visiting Hazel Green we headed here to the Potosi Brewing Company to see what all the buzz was about. The scenery is beautiful, the bluff makes a great backdrop to the red brick buildings. 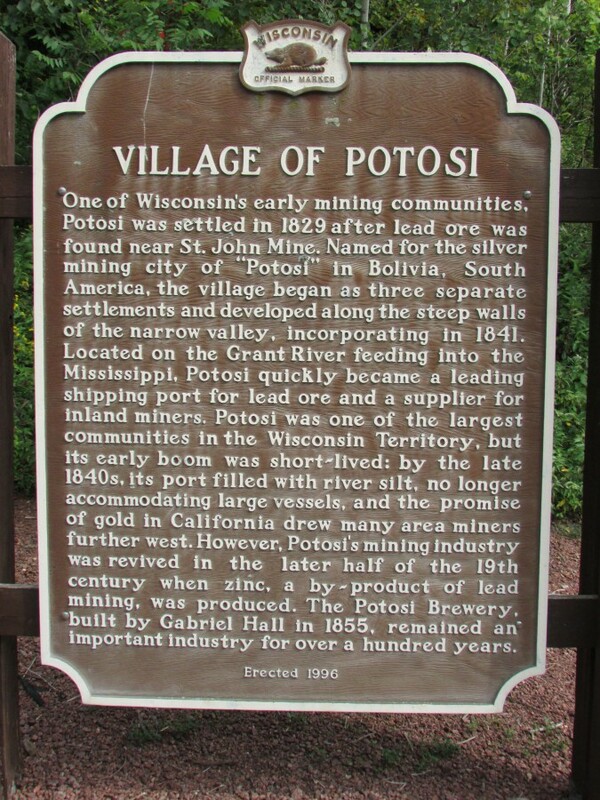 Potosi is also one of the 33 towns on the Great River Road that goes alongside the Mississippi. 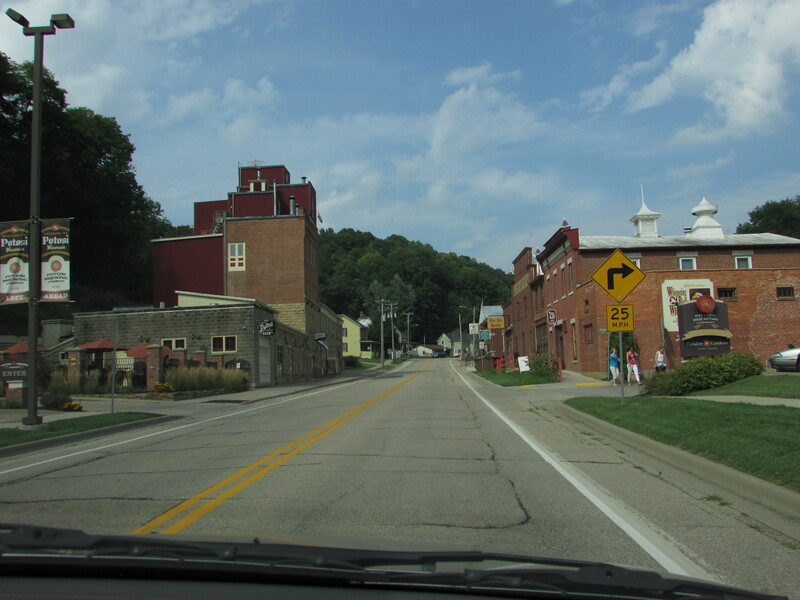 Another one we have been to is Dickeyville. 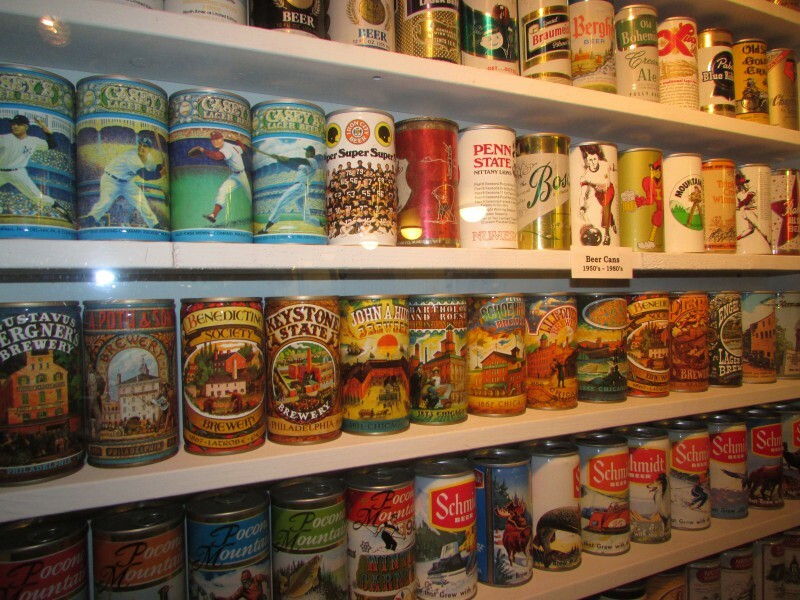 We first went to the right side, where the big beer can is located. The grounds are quite beautiful in the summer. 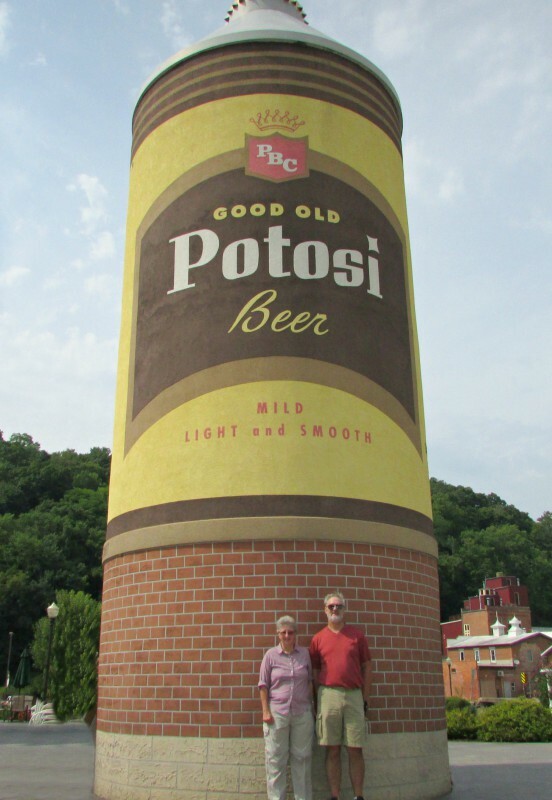 We HAD to get a selfie at the big beer can 🙂 Al is 6’3″ so you can see how big it is. It is the work of Scott Haverland Plastering, made in 2007. After looking around here we went to the main brewery building. 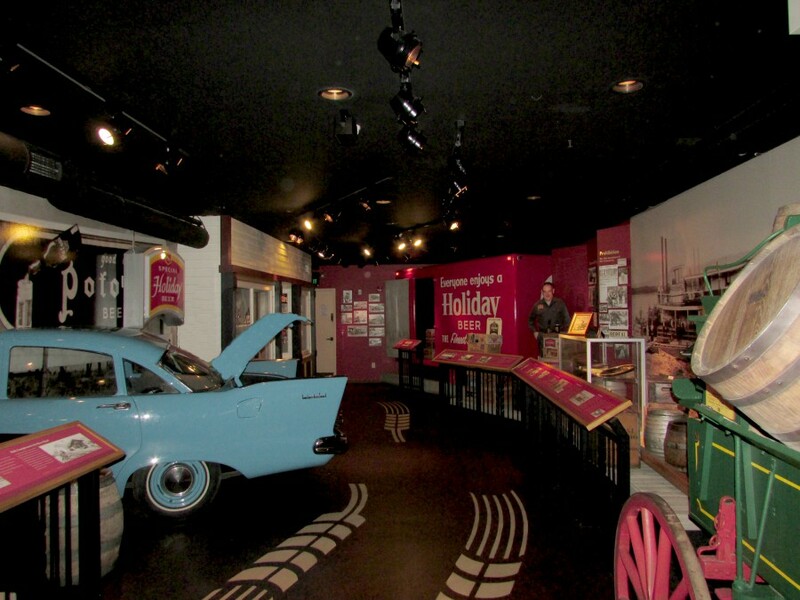 A lot of activity here, the National Brewery Museum is located her on the 2nd and 3rd floors, $5 admission is charged. We just stayed on the lower level where there were also a few displays also. The Cave was especially interesting. 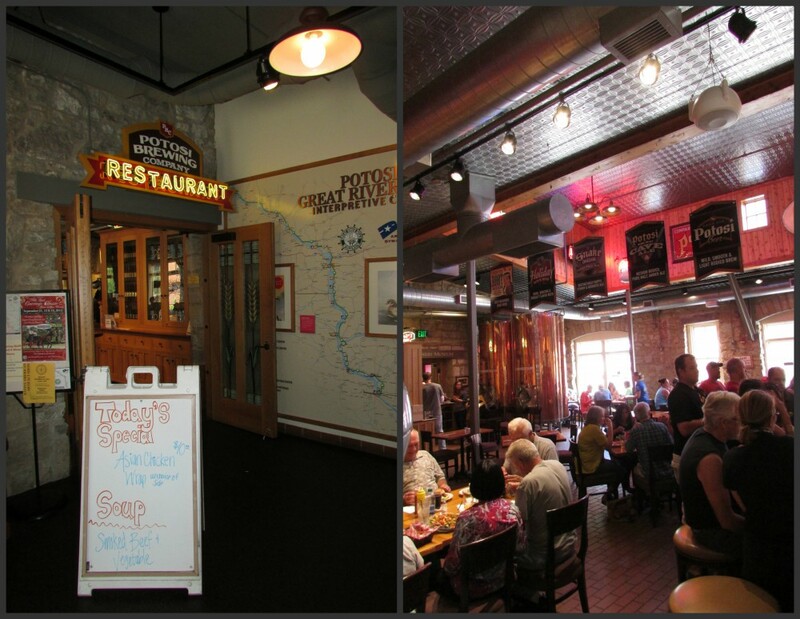 The brewery also has a restaurant which was hoppin’. You can eat outside too on their patio. 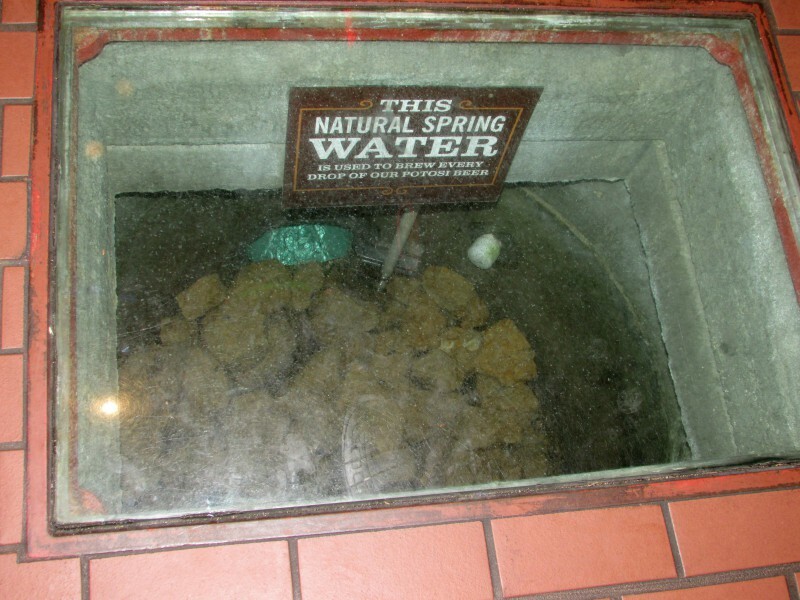 All their beer is made from natural spring water on site, and you can see it flowing under the restaurant through a window in the floor, cool! You can see the water flow outside too. 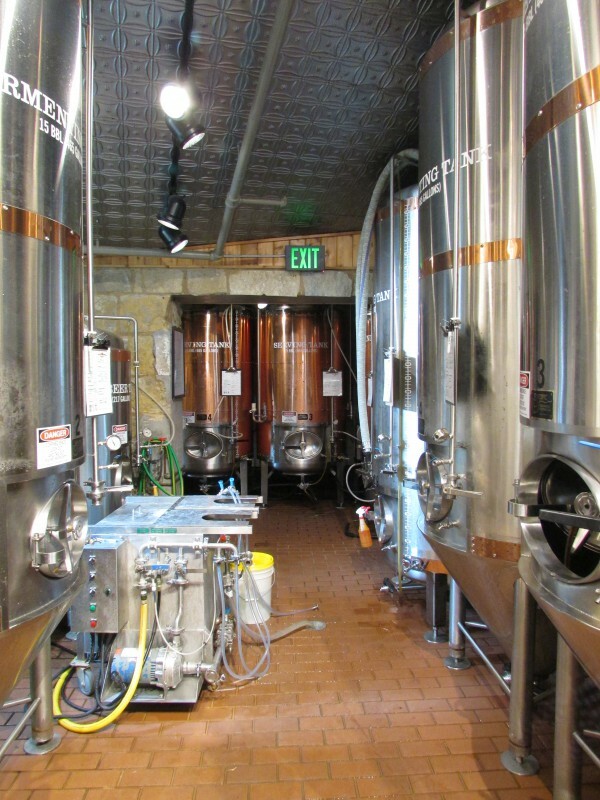 In the back of the restaurant you can see some tanks where the beer is being fermented and tanks of ready-to-serve beer. Since we were driving we enjoyed a refreshing root beer on a warm day, they make that too. There are some other businesses across from the brewery. 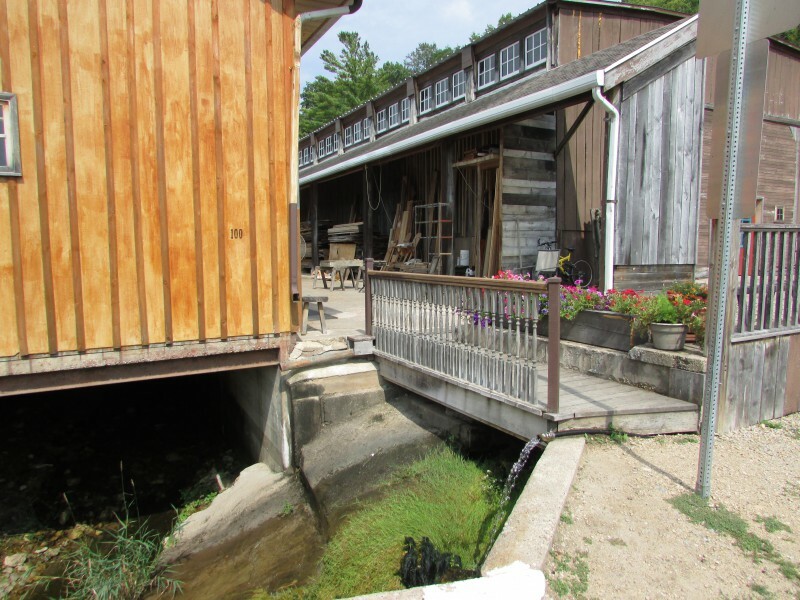 Whispering Bluffs Winery and Blue Boy Market. 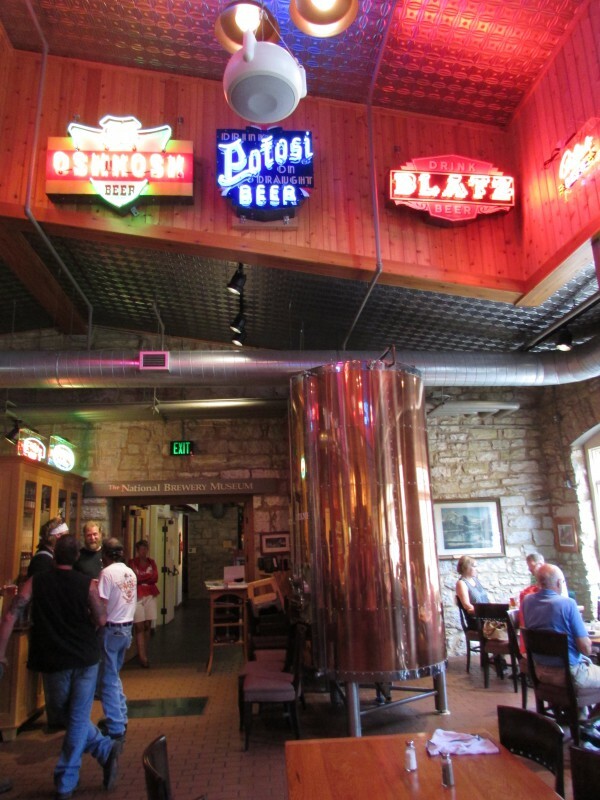 We really glad we stopped here today, it was worth the visit to this historic brewery. 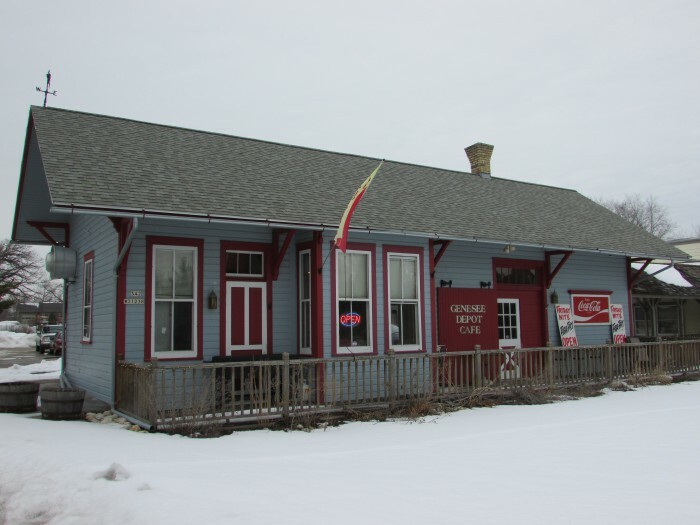 Genesee Depot is located in the town of Genesee in Waukesha County, Wisconsin. 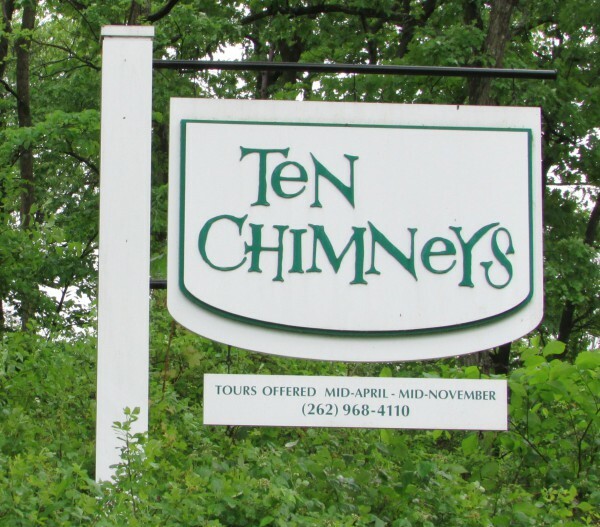 We are finally back after 2 1/2 years since got a great chance to tour Ten Chimneys in this community. Stillman Smith was the first settler in the area in 1837. 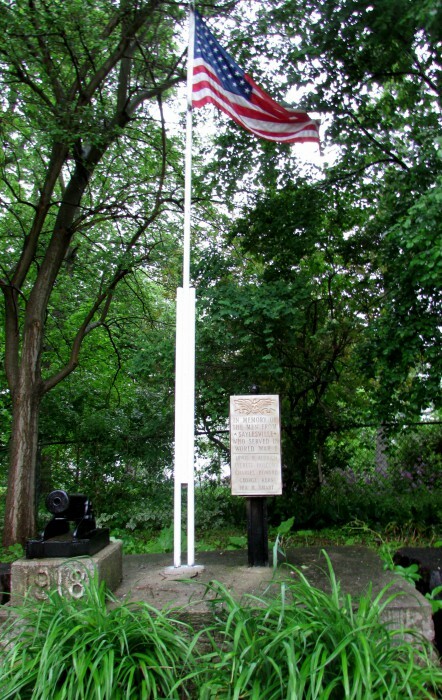 It was named after the train station, Genesee Depot opened Johnston Quarry in 1842 which provided some stone that went into Madison’s State Capitol. 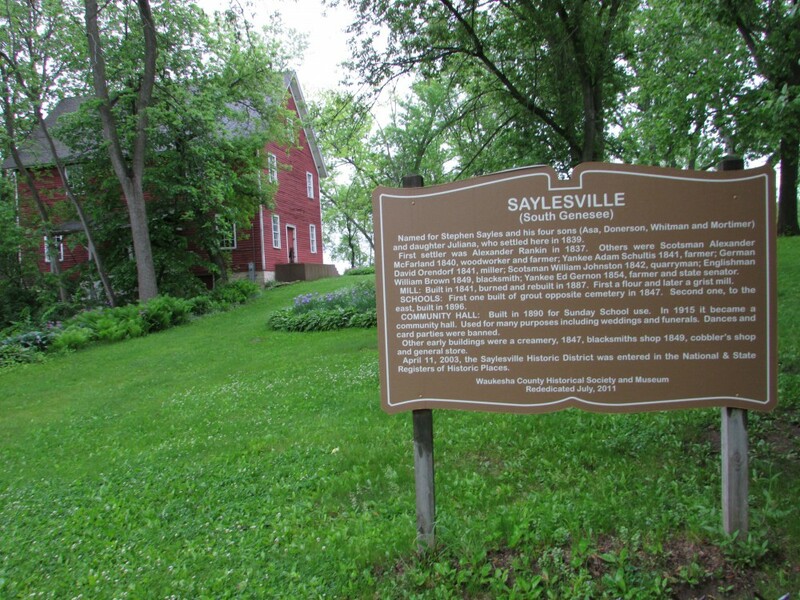 We first take a look at South Genesee (Saylesville) when the old Saylesville Mill still stands. Nearby across the road are a few other historic buildings and a WWI memorial on the same side as the mill. 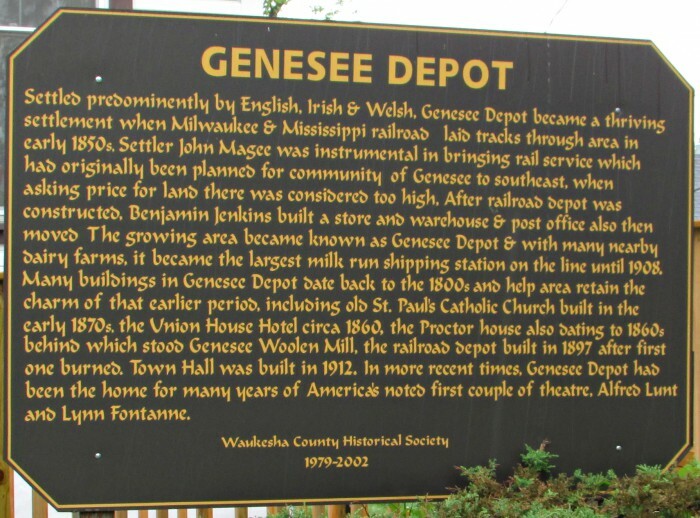 We go to downtown Genesee Depot to see the several historical buildings there and still in use. 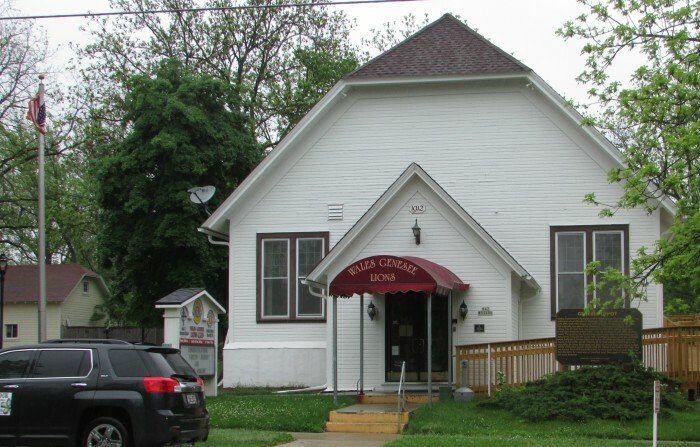 This is the original Town Hall, in front is a sign telling Genesee Depot’s history. This is the former train depot. It was a restaurant called the Depot Café, unfortunately it closed on May 24, 2015. It was open 3 years. 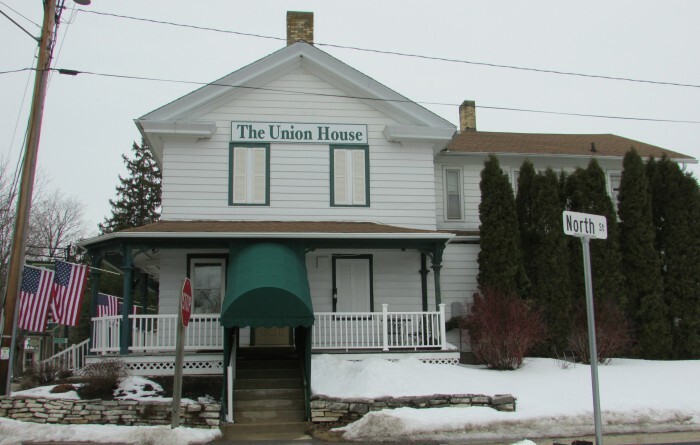 Just down a road a little is The Union House, first opened as a hotel in 1861. Now it is a fine dining restaurant. Many other great businesses downtown. 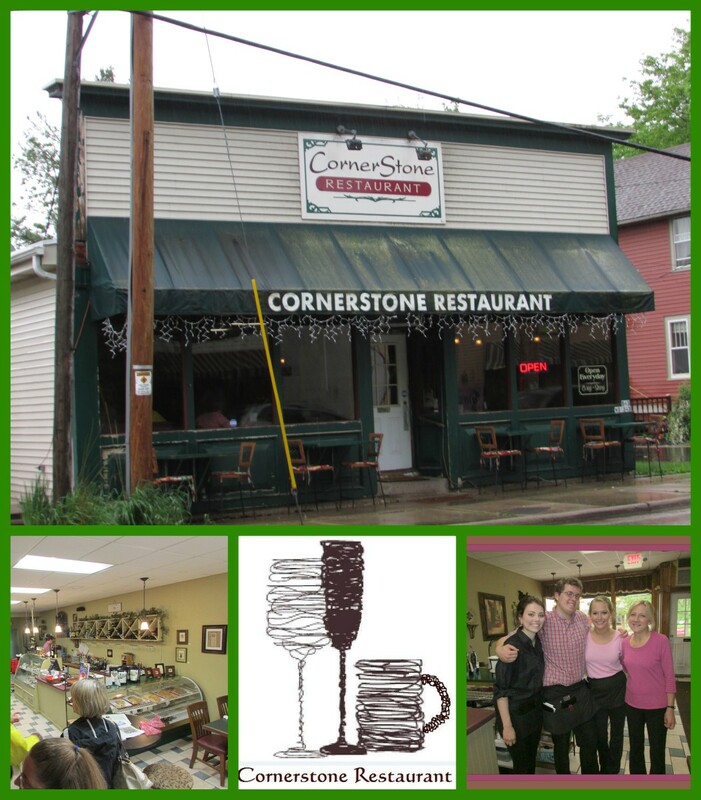 We enjoyed a delicious lunch at Cornerstone Restaurant, and so did many other visitors to Ten Chimneys. 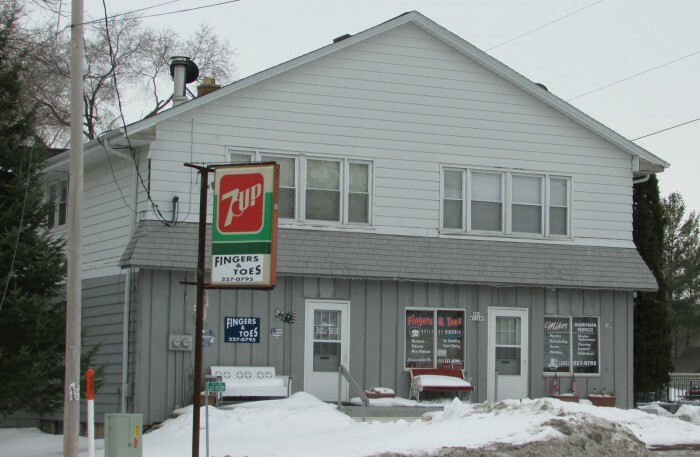 The food and service are top-notch and we will go back when we are in the area again. They even served a mini chocolate bundt cake in their bakery case, recipe by Alfred Lunt of Ten Chimneys, yum! Some of their selections come from Sally’s Sweet Shoppe across the Street. Owner Judy Knoernschild and her friendly staff welcome you for a great dining experience! Vina Mundi for fine wines. Tastings also available. 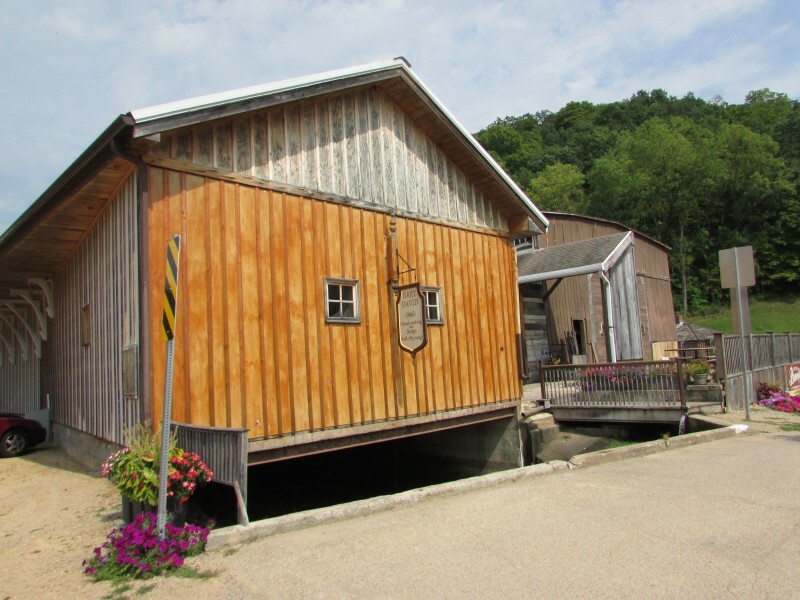 We enjoyed our visits to Genesee Depot, where friendly people were found everywhere we went.